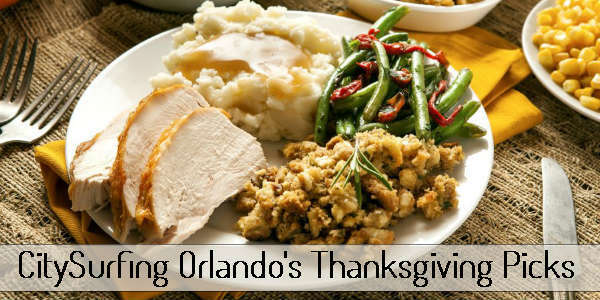 Christmas dinner is an annual tradition enjoyed by families, but sometimes you don’t feel like cooking or you’re on vacation in Orlando and want to enjoy your Christmas dinner out at a restaurant. Located at the b resort and spa at Walt Disney World, 1905 Hotel Plaza Blvd, Lake Buena Vista. The Christmas Day brunch features buffet stations with smoked seafood, omelets, carved meats, and even a whole roast suckling pig (all meat and seafood is smoked in-house), along with over 20 hot and cold sides and a dessert station. Cost is $49.95 for adults (includes unlimited mimosas) and $10 for children. For more information, or to make a reservation, visit americanq.com.